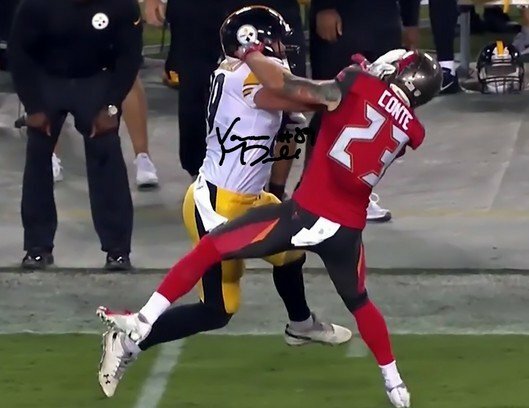 VANCE MCDONALD SIGNED PHOTO 8X10 RP AUTOGRAPHED " STIFF ARM "
VANCE MCDONALD "Stiff Arm " Autographed signed 8x10 high gloss photo. This photo is in excellent condition and would look great matted or framed. Photo will be shipped out with protection and in a plastic sheath for water protection. I have a huge collection of authentic autographs and this is a reprint of my hand signed original. All photos come with a full 100% Guarantee or your money back ! No questions asked, I stand behind my customers. ODELL BECKHAM JR SIGNED PHOTO 8X10 RP AUTOGRAPHED * THE AMAZING TOUCHDOWN CATCH!